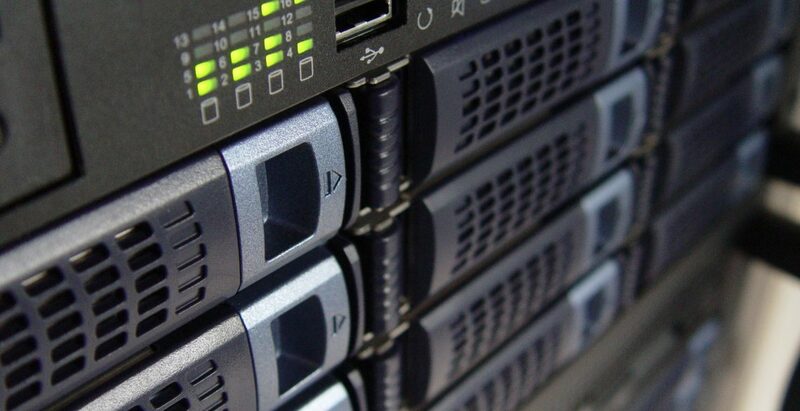 Many companies choose to manage their own Virtual Private Server (VPS) in order to reduce costs. This can be an effective strategy for a small business, especially if the website is quite simple. However, as a company is growing, its sites and applications also increase in size and become more complex. At some point, it is worth investing in a managed VPS package in order to reduce overhead and ensure that your server runs smoothly. When is the right time to migrate? In this blog post, we’ll discuss five of the most common signs that your business needs a managed VPS. Administrating a server can be a very time-consuming job, even for a skilled person. Eventually, you might end up not having enough time to take care of it, or being forced to neglect other important tasks. This is a clear sign that you should outsource the administration of your VPS by moving to a managed package, since the monthly price will be much lower compared to the time that you or your employees have to dedicate to the server. From a cost effectiveness point of view, self-administration only makes sense if very little work is needed or if you operate so many servers that you need to hire a full-time sysadmin to supervise them. Security threats come in many forms these days and there are multiple signs that your server is being attacked. If your server is running and responds to ping, but the site appears offline, the cause might be a web service attack. The most common of these are DDoS attacks and the Slowloris exploit, an experienced administrator can make your VPS resilient against both. In order to be secured, a system must be constantly patched and defense mechanisms such as firewalls have to be installed correctly. With a managed package, you no longer have to worry about security. Another key sign that your server is not managed well is poor performance. This can happen if your resources are not scaled with the traffic, but sometimes websites load very slowly even with a low number of visitors. Optimizing a Linux or Windows VPS is a difficult task and requires good understanding of the independent services running in the background (for example the web server, script handler or database), as well as their configurations files. Web commerce platforms (like Magento or Prestashop) are particularly demanding and will only perform well with fine tuning. You’ll find plenty of advice on the Internet and you could try to optimize your server on your own, but you’ll most likely fail. This is because a good configuration must reflect the specific use case of your server and only an experienced administrator will have the expertise to implement it. In most cases, it is easier to install an application for the first time than to upgrade it later to a newer version. This can be a real issue in self-managed environments, because old applications are no longer patched for bugs and become vulnerable to attack. They also perform poorly and lack the improvements and new features found in the latest releases. If you’re stuck with an old platform that is no longer compatible with other services and you are unable to upgrade it, the time has come to move to a managed solution and let them handle this issue for you. If your VPS is unmanaged, you’ll have to intervene yourself whenever the site is down, or to pay a freelancer to do it every time it happens. The big downside of this strategy is poor uptime, because you won’t be always available to react in a timely manner. If there is an outage during the night for example, you’ll probably only fix it the next morning. An unreliable website can be very bad for your business. It directly impacts the page ranking on Google and makes you lose customers, if they can’t access the site. You can improve uptime by configuring a monitoring system that sends alerts whenever there is a problem, but you’ll also have to make sure somebody is always on call to respond to these alerts. However, the easiest option is to let your hosting provider manage the server and make sure that your site is always online. While there are many managed VPS hosting providers on the market, it’s important to consider which package fits best with the objectives for your business. You want to partner with a provider with great uptime, great reviews regarding their support team, and someone who provides the amount of storage you need at a fair price. Things like free SSL certificates and cPanel licenses are also great add-ons. Steer away from managed VPS providers who require long-term contracts, as the best way to find the best fit is often times to test out the services for yourself. This is why at TMZvps we allow users to try our managed VPS services risk-free with our $0.02, 30-day trial. For two pennies, you can experience the product for yourself, along with free add-ons like an SSL certificate and free cPanel license. Our uptime is 99.9%, we provide all SSD storage, and you’ll find our support team gets rave reviews from our customers. However, you don’t just have to take our word for it, we’ll allow you to try it out for yourself. If you’re interested in starting our $0.02, 30-day trial, simply click below. And if you have any questions about your specific requirements, please contact us here. We think of ourselves as technologists at heart, with a passion for customer support. We work day and night to provide you with a technological stack that will keep your systems running at all times, and with a customer service experience that will make you smile every time.